"The very high prevalence of dehydration was a surprise to us, and the potential influence on workers cognitive function and motor performance in key industries is quite problematic, because it markedly increase the risk of making mistakes and therefore threaten both safety and productivity," says professor Lars Nybo from the Department of Nutrition, Exercise and Sports at University of Copenhagen, and project coordinator for Heat-Shield. Andreas Flouris, Associate Professor at the University of Thessaly, Greece, and head of the field studies conducted in Southern Europe emphasizes that the problem can be even bigger in the near future: "This is already a problem under the current conditions. 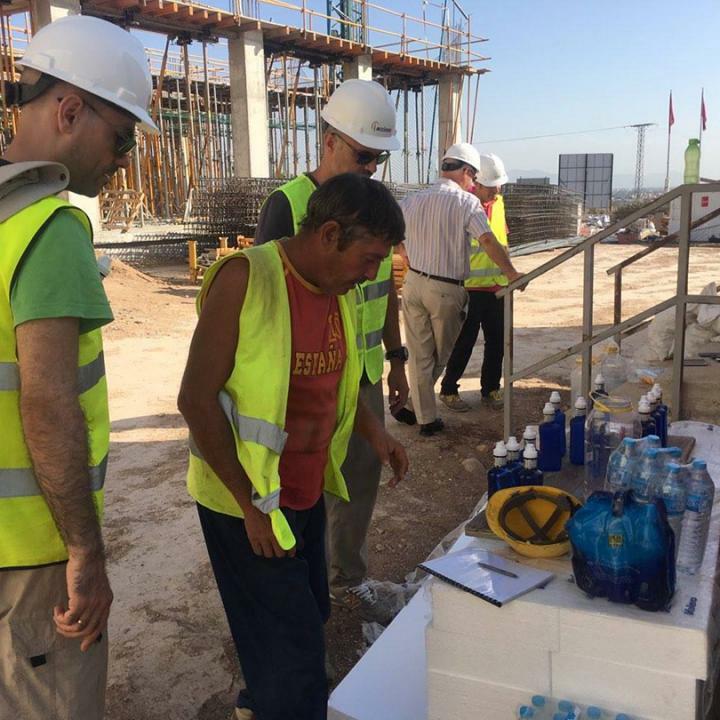 However, facing a future with more frequent heat waves it is of utmost importance for workers to adopt better hydration habits and for companies to develop effective hydration strategies." The study was published in the renowned scientific journal PLOS ONE in the article 'High prevalence of hypohydration in occupations with heat stress – Perspectives for performance in combined cognitive and motor tasks,' and signifies that even mild dehydration (2% loss in body weight or concentrated urine as measure of suboptimal hydration status) has marked effects across several occupations where workers are exposed to heat stress. Heat-Shield is dedicated to address the negative impact of increased workplace heat stress on the health and productivity of five strategic European industries: manufacturing, construction, transportation, tourism and agriculture. The Consortium consists of a group of twelve research institutions, two policy-making organizations, four industrial entities and two civil society organization from across the EU. Read more news from Department of Nutrition, Exercise and Sports at University of Copenhagen. Birds can mistake some caterpillars for snakes; can robots help?